Up until the year 2008 many thought the good times of a healthy economy and growing commerce would last a whole lot longer than many had thought. The more the year progressed the more we heard about the dire state that the world economy was in. It was a turbulent year as uncertainty crept in not just for the businesses scattered the globe but for the major financial institutions as they all revealed their exposure to bad debts. When financial institutions began to suffer it was no surprise that a global recession was announced as a result sending the global markets into a frenzy. The economic woes began to heighten and as a result the leading global companies in the world decided it was time to evaluate their situation and plan their own strategy that would see them come out of the recession to the other side the whole lot better and more efficient. All the companies did that and Microsoft was no different. Being the technology leaders they were used to leading the way and in 2008 they announced their best ever sales results that were recorded for the first quarter of the year. As the year went on they realized being in the consumer market they had to be extremely cautious in their expenditure. Especially as they saw the signs very early on, their Chief Financial Officer correctly predicted as news began to emerge that this recession was going to a “deep” one. As a result they put in place measures to ensure they tried to come out of the recession in a strong position. Windows 8 was always going to be the product that made the biggest advanced in terms of design and usage since the very early operating systems. It was seen to be a crucial stage as Microsoft had envisaged that the world of technology was evolving. As a result they were required to adapt to the changing manner in which devices were to be sold. For a long time the success of operating systems hinged on the sales of computers. Personal computers have been the bedrock of Microsoft as it allowed them to build ontop of this platform to increase the influence. However, personal computer sales have been decreasing and that has been the case for 5 straight quarters. Mobile devices have been becoming more versatile with smart phones becoming extremely important and tablets entering the market. Tablets have been replacing the computers slowly as they have been adopted extremely well as they offer the same features as those offered by personal computers. Looking at the manner in which the sales have been heading for Windows is an interesting insight into analyzing where we are in terms of our appetite for personal computers. The first 90 days since release Microsoft announced that there was the same amount of licenses sold as the initial release of Windows Vista which was seen as a roaring success. But the sales of computers have been decreasing at an alarmingly very rapid rate. As of late though Microsoft do have something to celebrate as it is the operating system which has exceeded Windows Vista for the first time. Previously what was happening that computers came pre-installed and users were downgrading the operating system to a system which they were more accustomed to? However the rise of the usage of Windows 8 stems from the rise in mobile devices. Windows 8 promised to work equally well with tablets and computers. 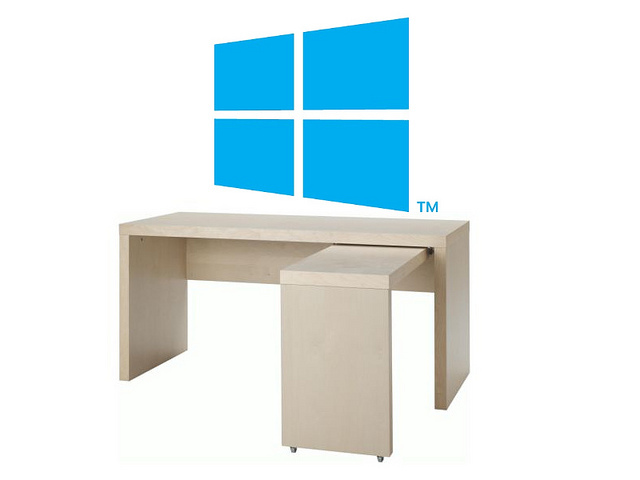 In the sliding computer market users are migrating from Windows XP to Windows 7 rather than Windows 8 due to the need of having a custom built pc which has the extra resources available to handle Windows 8. Rehan Sajid likes to delve into the manner in which technology can aid businesses including products such as the Zalman range by talking about the benefits of devices such as IP Telephony – article here .